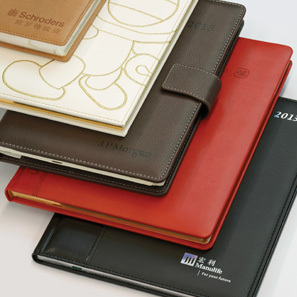 ﻿ About us | Tai Shing Diary Ltd.
Tai Shing was established in 1988 to provide printing and binding services in Hong Kong. Back then we just served the local market. Now we dominate it, especially in corporate diaries. Our dedication to quality and ability to innovate attract customers across the world, including Hong Kong, Australia, China, Japan, Korea, USA and Europe. Our factory is located in Dongguan, Guangdong, our modern, efficient factory spans three buildings with a total of 18,000sqm of floor space.The three-storey main building houses our offices, studio and 9,000sqm of production area. We also have a 2,000sqm warehouse. Many of our team members live in an on-site dormitory surrounded by a green belt that includes an outdoor recreational area. Our diaries and planners are produced to extremely high standards. Pick one up… Inspect it… Feel the quality… This is exquisite workmanship. Every fact, every holiday, every date in every diary is checked, double-checked and triple-checked before we publish. Our rigorous approach builds trust for your message. When your customers need to make a note or recall an occasion, they will reach for their Tai Shing product. And every time they do, they will encounter your message.